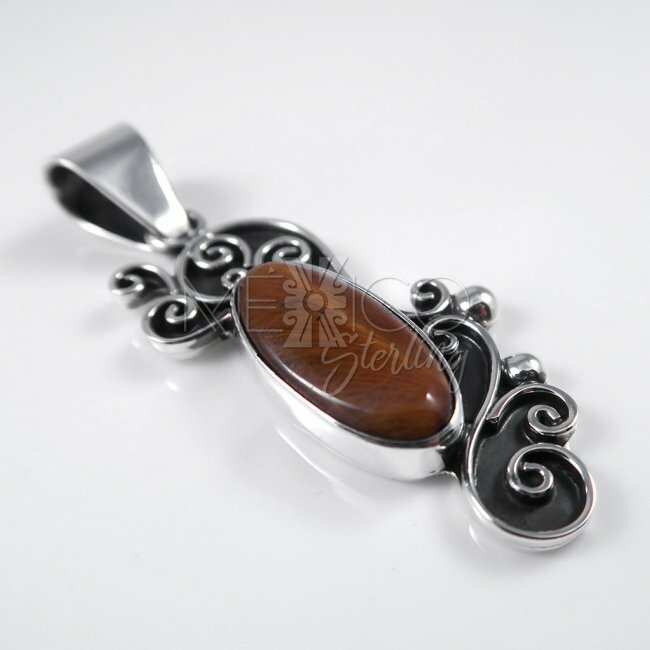 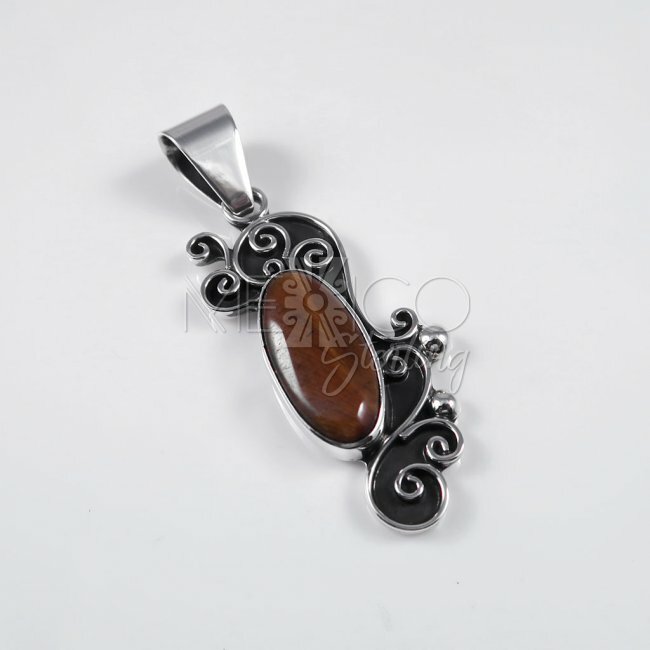 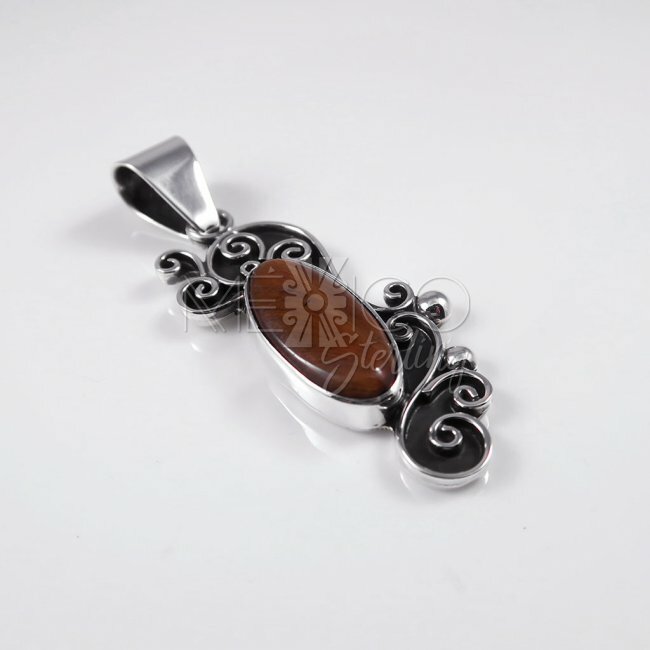 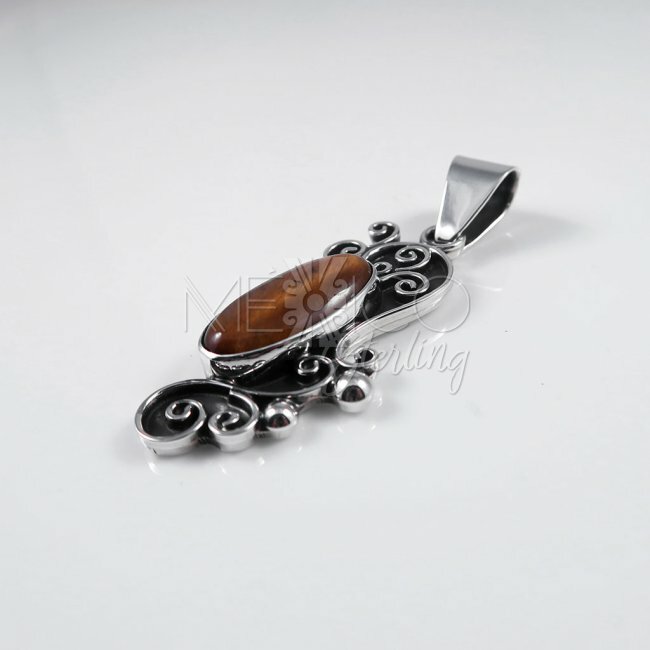 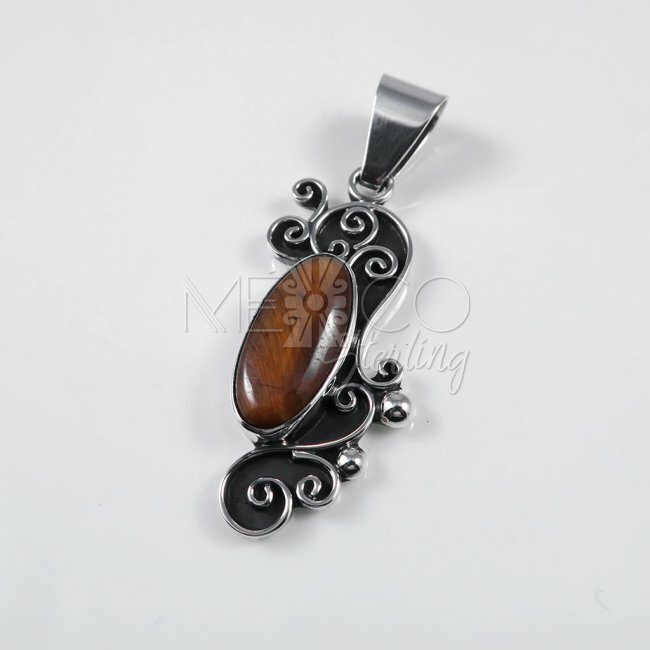 Silver Tiger's Eye Dragon Year Pendant - $48.00 : Mexico Sterling Silver Jewelry, Proundly from Mexico to the world. 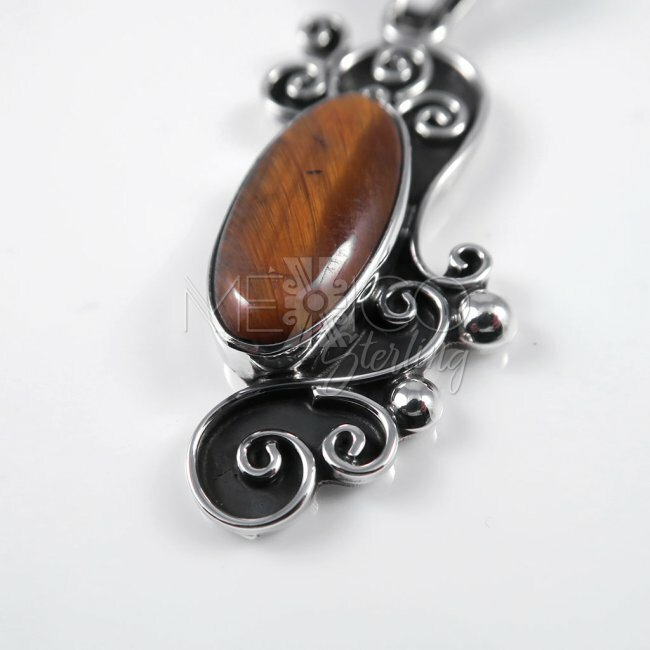 Dimensions: W: 1 1/4" L: 2 3/4"
Modernist silver and Tiger's eye cabochon pendant. 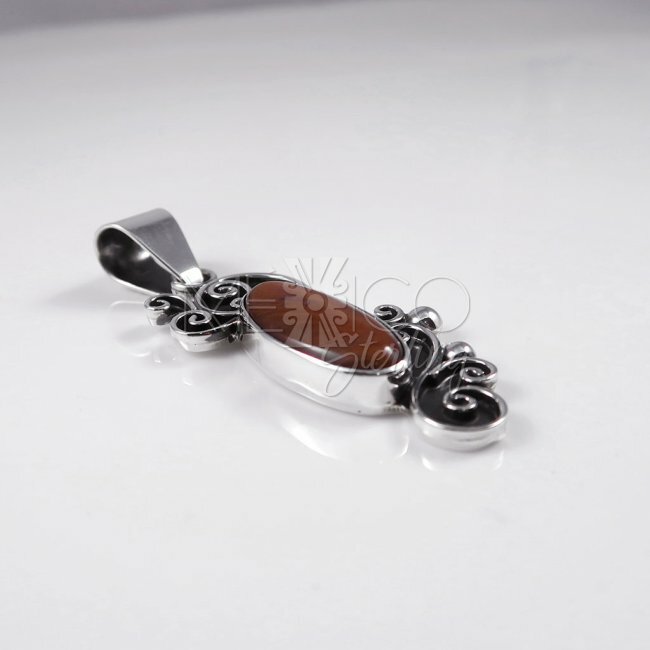 This is a very special piece of jewelry with nice and charming details that make it a unique ornamental piece of jewelry. 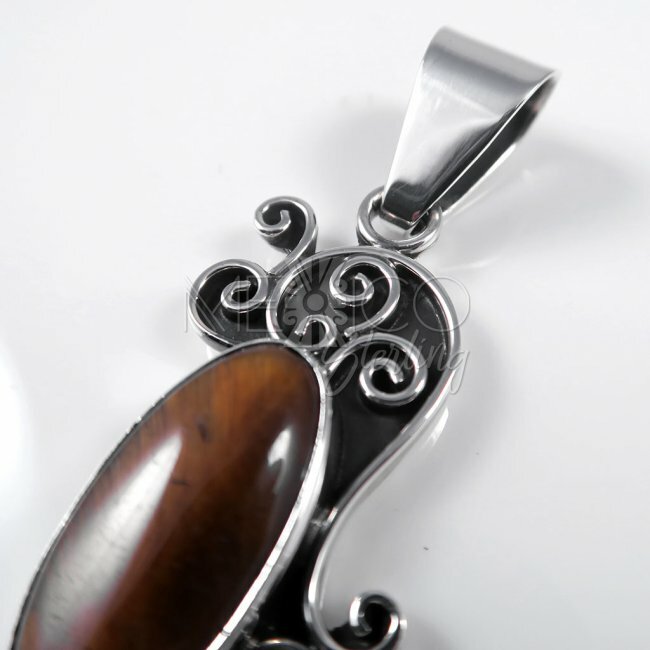 This silver pendant carries also a portion of oxidized silver, nice background that serves as a contrast and depth to the wavy silver lines on the side, a great idea to finish and frame the central cabochon. 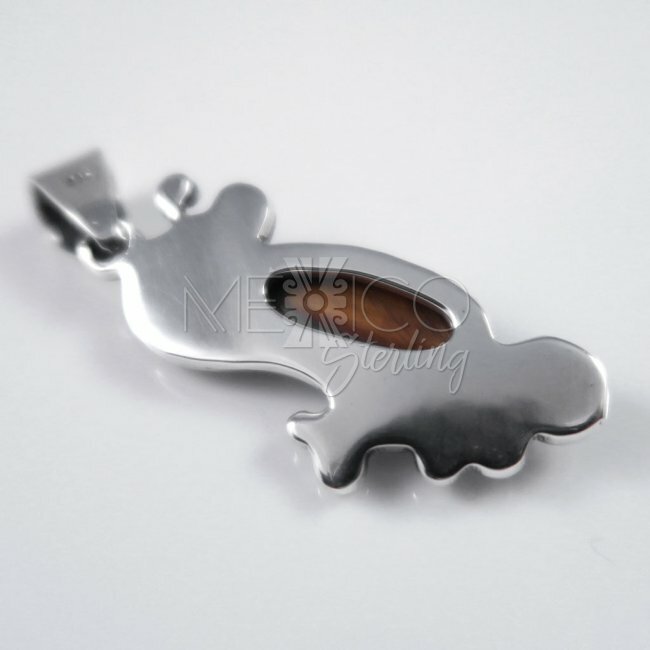 Please take a look at the extra photos, for more details on this beautiful and unique silver pendant.